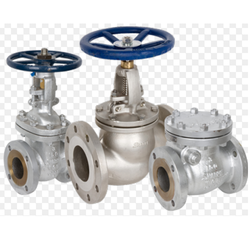 Offering you a complete choice of products which include stainless steel gate valves. Our customers can avail from us a wide range of Stainless Steel Gate Valves. These valves have corrosion resistant finish and are also durable in nature. Owing to low pressure drop facility, these bronze globe wheel valves are coordinated for controlled applications. Looking for Stainless Steel Gate Valves ?